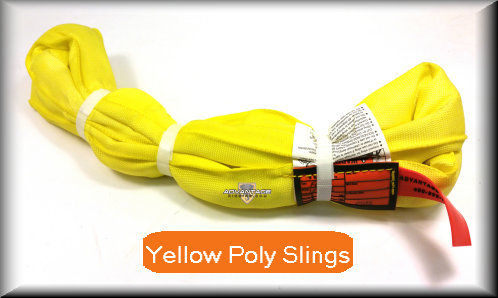 Our polyester lifting slings are available in a variety of colors and assorted strengths to meet a number of needs. 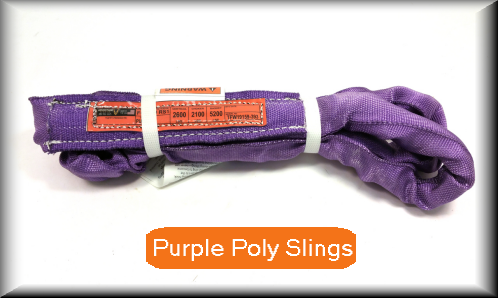 Choose from purple, green, yellow and blue with working load limits to meet vertical, choker, or basket applications. In comparison with our nylon slings, polyester lift slings are just as strong and offer some advantages that make them the preferred material in some cases. 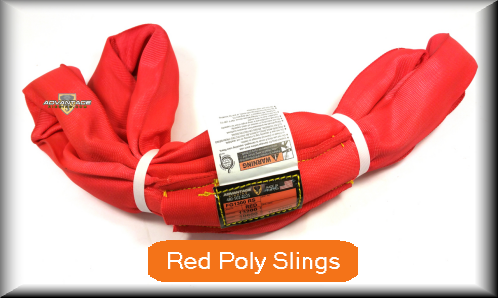 Slings made of polyester are both lightweight and non-corrosive, meaning you can use them in instances where exposure to corrosive substances might be a risk to other materials. Polyester is also heat-resistant for jobs where high temperatures are encountered. However, for industrial applications subject to extreme temperatures and rugged conditions, chain slings offer the best in long-term durability and heat resistance. 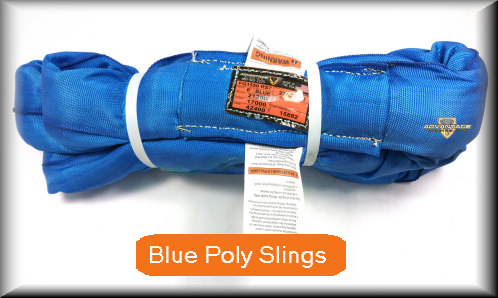 The double sleeve construction of the polyester lifting sling makes it even more resistant to wear for a piece of equipment that will last longer and perform to the highest standards. 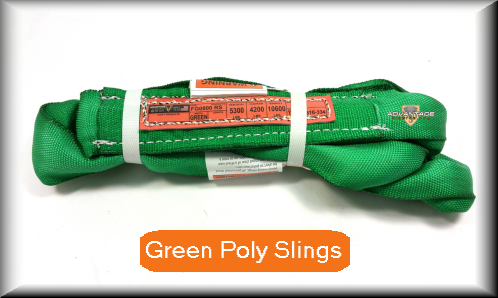 Our selection of lifting slings made from polyester is available in lengths from 2 inches to 24 inches. The lifting sling must be removed from service if any of the above are present. If you don't feel confident about conducting inspection on your own, we can do it for you. Just ship your poly lift sling to us for visual and load test inspections. Click here more details. If you have special needs for custom configurations, contact us about placing a special order. We strive to provide you with the quality products you need to get the job done as efficiently and safely as possible. We can custom make almost anything you need for your specific application. If you are not sure if nylon or polyester straps are the best choice for your needs, call us at 480-502-2225 and we will help you find the best lift sling for the job.